I am using AmyMarie's PTU kit called American Emo. The tube I am using is the Artwork of Keith Garvey called Revalution. I will be using #000000 for the foreground. I will be using pp012 for the background. I am using the font American Dream. I would love to see your results of this tutorial. Please send them to agelesskarmacreations@yahoo.com. I am using a beautiful PTU kit by Alika's Scraps & it is called Breaking Dawn. You can purchase it at Pimp My Tags W/Scraps Store. 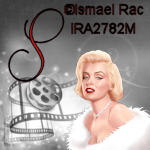 I am using the Artwork of Ismael Rac. You must have a license to use his work. You may obtain one at his site. For this tutorial, I will use C/P for Copy/Paste. C/P BellaBonusHD into the frame & place to your liking. I resized her to 40%. C/P EdwardCullenHD02 into the frame & place to your liking. I resized him to 45%. Select your background layer & C/P as22 & resize 140%. Place to your liking. I am using the PTU kit called Some Like It Hot by Design By Sarah. I am using the Artwork of Ismael Rac. The tube is called MMHD2012. This is a Bonus Tube I received that I got from his store. I can not find it on his site anymore. If anyone knows the link to it, please let me know & I can update my link for it. C/P sb_pmt_SomeLikeItHot_clapboard & resize 25%. Next I will do the Avatar for this forum set. Open a 150 x 150 transparent canvas. 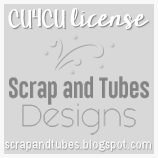 C/P your tube of choice & resize to your liking. Add the Copyright & your license #. Add your text & save.